There is simply no better way to get a sense of Rio de Janeiro’s impressive scale than by taking a mesmerising helicopter flight above it all. Unbelievable views that you’ll get include the Botanical Gardens, founded by former king João VI (then the Regent Prince), the Tijuca Rainforest and, of course, an unmissable lap around the iconic Christ the Redeemer statue. See the famed beaches of Rio de Janeiro, the sprawling favelas off in the distance, the skyscrapers, and in the background, the vast, lush rainforest. Rio is one of the world’s most exciting visitor destinations, but when you’re just walking the streets it can be difficult to get a sense of its true scale. 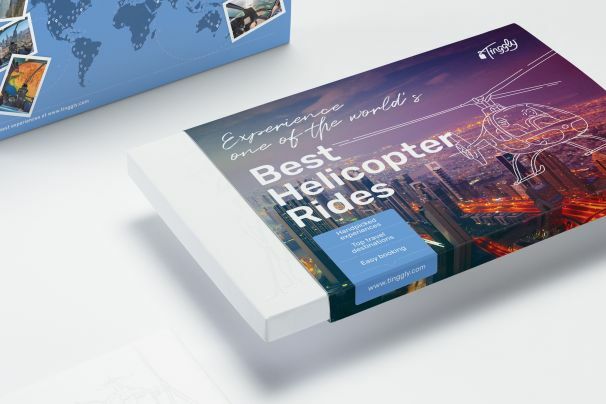 This helicopter flight is one of the best Rio de Janeiro gift experiences out there, as you can soar high above the city, camera in hand, and get panoramic views that few others can ever enjoy.